Although some have asked for renewed interpretation and analysis of the meaning of sea power, maritime strategy, and naval power, they have often ignored that this has often revisited challenges and questions that have been raised before. Many of these questions Corbett, American naval thinker Alfred Mahan, and the founding father of the scientific study of naval history, Professor John Laughton, have tackled repeatedly in the past. Often this challenge comes in the form of balancing the study of naval history and setting it into contemporary relevance and the broader context of national policy. 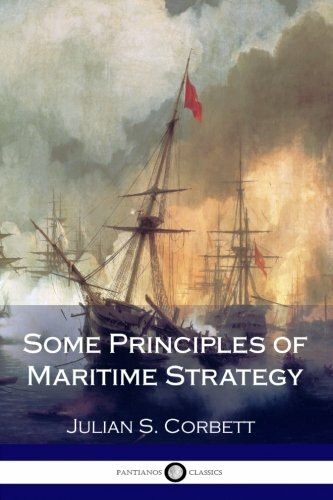 Now, awareness of Sir Julian Corbett’s 1911 classic text Some Principles of Maritime Strategy and his other texts is growing in the 21st century. The exhaustive efforts of select naval historians in the latter 20th century to increase understanding of Corbett’s works against a backdrop of a technobabble trend in defence debate still resulted in significant intellectual rigidity in contemporary Anglo-American thinking. This is not a unique occurrence to just the 21st century, but has increased in intensity as one of the outcomes of defence unification that dominated much of British and American defence politics in the immediate decades that followed the Second World War. Defence unification was the elimination of separate departments of state such as the British Admiralty or U.S. Department of the Navy into a single Department of Defense or Ministry of Defence. The War Course and the book were classic examples of British practice, informal, unplanned and slightly amorphous, which would be at once the key to their success, and the occasion for their obscurity. Corbett was, in that regard, an exception rather than the norm; and the often-oscillating nature of defence over the generations provided the opportune environment for Corbett to introduce his ideas not just for an audience of his era but future generations. In comparison to Mahan who is often critiqued as lacking Corbett’s elegance, Corbett wrote with the mantra of promoting educational texts grounded on cohesive strategic patterns through the application of evidence in history, to the benefit of the education of senior naval officers. This has often led to a misinterpretation that Corbett and Mahan’s ideas must be pitted against one another and that in the end, the naval officer must pick one or another’s work rather than understanding they complement one another. Just as the civilian historian and naval officer should have a symbiotic relationship, Corbett and Mahan's texts are in a similar relationship. Negative attitudes grew under unified defence towards ideas that had developed previously in an unorganised manner. This led to a Cold War generation claiming the need of another Corbett or Mahan. Cast out was the need to grasp the fundamentals that either had taught to previous generations of thinking-fighting sailors and welcomed in what was the reactionary era that would define future generations. This was entirely misguided. Mahan and Corbett were products of their era and exceptional in their rise to influence by pulling on the necessary and often opportunistic levers available in the time to deliver solutions for contemporary policy debates through the application of scholarly intellectual, original study. Corbett’s texts were to some degree deceptive because the overriding ethos behind many of them was not only to encourage intellectual debate to the benefit of naval policy, but that the development of naval thinking was an on-going process and not, as can often be found in modern scholars’ texts, an attempt to once and for all create a final solution. A pause or break in the development of naval thinking would be disastrous to both U.S. and British interests. Corbett highlighted this in some subtle key points, such as his admittance that none other than when he had finished Some Principles that it needed to be updated. It is often overlooked by the modern thinker hunting for or writing the complete take on naval thinking that it is called some principles, not the principles. It was an evolving document to which future generations would have to contribute. What has always been necessary are thinkers who could continue Corbett’s work but understand and are able to operate in the unified defence era. The Corbettian ethos regarding the on-going development of theory can be demonstrated through its influence on one of Corbett's closest allies, British Admiral Sir John Fisher. The stagnation of a Navy’s strategic thinking, which was a genuine threat in the inter-war years, would likely result in near doom, but more importantly is one of a series of steps towards losing command of the sea. U.S. Naval Historian Arthur Marder’s claims that Fisher “had lost the plot” when Fisher called for the Royal Navy to undergo drastic reform after the First World War were ill founded and poor timed. Marder’s comments was one of the first clear indicators that attitudes toward Corbett’s principles were in the decline, post Second World War. Fisher knew that not only that British strategy would need to be updated but the shape and scope of the fleet had to reflect the experiences of war and include the application of military aircraft as a vital defence asset. Corbett was aware of the strengths and weaknesses of combined operations which was one of the proposed rationales behind defence unification in the U.S. and U.K. He feared that not only the voice of the Royal Navy would get lost in the clamour of Army and Air Force messages but tying one hand behind the Navy's back would stunt the development of service education and dilute broader debate. This clarity of mind was similar to how he had seen the near paralysis of naval policy before the First World War. Fisher’s share of the struggle was to reform a navy that had become far too dependent on the myth rather than the wisdom of Lord Nelson and the original English naval hero Sir Francis Drake. The Second World War would, at least initially, be Corbettian in style. The post-war naval environment was equally challenging. The unification of defence provided the impetus to see Corbett swept aside as nothing more than a ghost of Britain's imperial past while the last of his war course and broader community of students’ influence declined from British and American naval affairs. Marder and his British contemporary, Stephen Roskill, in the immediate decades after the Second World War were also guilty of failing to continue both Mahan and Corbett’s research and ethos. Rather than finding a balance between original historical study and contributing to policy debate, they became obsessed with not only the engrossing projects before them but also arguing between one another. Marder furthered damaged Corbett’s message in 1961 by underestimating his contribution to British defence. The combination of Marder and the troubles of defence unification would prove lethal to Corbett’s ideas being carried over into unified joint defence education environment. Corbett’s rise was exceptional but the unstructured manner of the development of naval thinking was ill suited for some of the drivers and individuals behind unification. The post-Second World War failure to invest in the on-going development of naval thinking was a distraction that led many to believe that Corbett and Mahan’s concepts were irrelevant. Instead it was an assault on teaching related to maritime strategy. This resulted in an intellectual deficit in the strategic style of defence debate on the Cold War rather than the narrow vision that started to shape defence forces in the U.S and UK. Marder and Roskill's failure to address Corbett and Mahan set the scene for defence unification where the Royal Navy’s strategic message would be on the back foot until the 1982 Falklands War delivered a bloody nose to defence planners in the U.K. Ministry of Defence. After the Falklands War, senior naval officers such as Admiral Lewin, Chief of the Defence Staff during the crisis, knew that although the Falklands had provided momentum to regenerating British naval thinking, without the institutional culture to do so, the regeneration of British strategic doctrine was still out of reach. The fate of Corbett’s teachings for British defence remained firmly in the hands of civilian historians who were at the time distracted with technological and reactionary advancement while debating the more exceptional points of long past wars which failed to grasp and energise the of the modern decision maker. This played neatly into the hands of those who were promoting other lines of thinking. As the first Cold War was coming to a close, U.S. Professor John Hattendorf aptly named a conference “Mahan is not enough,” with an aspiration to bring Mahan and Corbett’s works back into the defence intellectual fold. It was a conference on the works of Corbett and one of his students, Admiral Richmond. It was far from a coincidence that after decades of British and American adjustments to the narrow mindset of Cold War reality and global events, but also decades of attempting to make defence unification work, that Corbett’s works could be explored without the hindrance of post Second World War service rivalry and the accusation that they were ignoring the operational challenges of the time. It was a partly a turning point where the message that navies do strategy was re-emerging from decades of obscurity. Obscurity that has been partially delivered by both those combative to naval thinking but also some of the very people who were supposed to be positive to sea power. The question has been asked regarding why the civilian has a role in strategic and theoretical development which relates to military activity. Corbett demonstrated that a close relationship was the only path that worked, where both uniformed and civilian could convert the complex ideas of naval theory into the respective audience’s language. It can also be demonstrated when the military has struggled to reform themselves, particularly in the case of Corbett and the Royal Navy, that it was civilians—particularly historians—who had to ride to the rescue of the military. Trusting completely that the naval officer would be a student of history and maritime strategy during their career was too much of a risk. It was unlikely to take place when other pressures took hold during a career and also institutional mistakes would become indoctrinated deeply skewing their mental processes further into a narrow mindset. Without it, navies were in jeopardy of becoming nothing more than a museum display, where their significant contribution to defence, either in hard or soft power, was downgraded to the detriment of national defence and foreign policy. The awareness of Corbett’s work not just as a handbook to uniformed personnel but as a contributor to the development of military thought grew into the 21st century. This was demonstrated at the 2017 McMullen Naval History conference held at the U.S. Naval Academy, where it became clear that Corbett, not Mahan, was on many a scholar’s mind. Considering the centenary of the First World War, Corbett would never have written the lessons were learned, but rather what should have happened. This is a complicated premise for thinkers dabbling in discussion on modern defence policy issues to grasp because as much as classic texts may be altered over time, some fundamentals and patterns do not change. Isolating military history in lessons learned doctrine does little to further national aims. It is a somewhat bitter pill to understand that, at least in naval circles, if you have to relearn something you probably were not listening in the first place or ignored some of the patterns and fundamentals highlighted by both Corbett and Mahan. This is one of the critical challenges of unified defence. Many of Corbett's pupils would go on to shape the maritime strategy and naval tactics of the Second World War and into the immediate post-war period. They were aware they had to redevelop Corbett's ideas and political-service education tactics decades after his death. This led to a major clash as the move to unified defence progressed. This clash focused on attitudes toward robust debates over strategic thought and theoretical concepts. Many historians and commentators for good or ill have explored the themes that dominated U.K. and U.S. military doctrine and strategic thought after 1945. However, beyond the diplomatic niceties of today’s so-called jointness remains a subtle but consistent thread that unified defence may have confused the advantages of strategic and theoretical debate with the notion that it is inter-service rivalry. This has resulted in debate and in some cases the development of theoretical concepts coming to a halt. Consensus has been placed above conviction, in a sense. Often the pitting of services against each other is confused with the encouragement of previously proven concepts and fresh ideas or with another agenda such as fiscal control. The age of military intellectual enlightenment and quality debate that defined much of 19th and 20th century military thinking has become suppressed today because it is twisted as supposedly encouraging rivalry. This has damaged defence thinking. The suppression of intellectual debate out of concern for rivalry has resulted in a debate today lacking the intellectual element whose advantages of can be easily seen in the pre-unification era. Many of the past pre-unification debates led to many of the concepts and theories we accept today. Corbett was an example of being in the right place at the right time to inject the much-needed ingredient, intellectual concepts based on the study of history. Corbett's message remains potent even with the strategic debate deadlock in place. The navy firstly maintains the peace and finishes the fight if necessary, and does so by commanding the seas and influencing other domains. The term warfighting can often become a dangerous path; if someone thinks they are going to get into a fight, they will seek one out. In some modern defence establishments, the idea that maintaining the peace is more important than war fighting would be considered heresy. The naval concept that through strategy one maintains the peace is often quickly muted as it diverges from well-trodden paths of the war-like peace of the past few decades and the message the other military services have used to support their own future and concepts. It is easy to demonstrate the idea that keeping the peace and commanding the seas rather than using force draws hasty and emotional criticism. Consider, for example, Air Marshal Slessor’s calls to essentially scrap the Royal Navy because land-based air power was absolute. 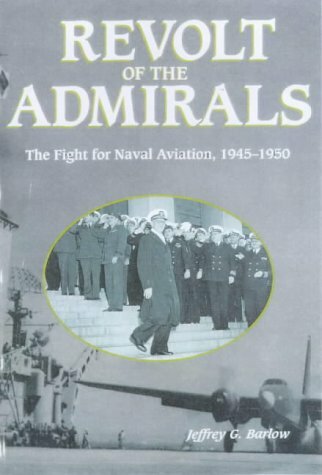 The situation in the United States was not entirely dissimilar, and perceptions that the Navy’s roles were niche and overcome by air power strategies and capabilities, were some of the factors that led to the 1948-49 Revolt of the Admirals. Since the unification deadlock over the benefit of strategic debate and embracing differing concepts and doctrines, more so in the U.K, this has somewhat resulted in maritime strategy being put towards the back of the agenda. The enhancement of capabilities of naval power in the 21st century, such as its reach and influence, have vastly increased from what seemed the post-war era of doom and gloom. Many historians are guilty for casting such gloom into the minds of political leaders as they ignored Corbett and Mahan’s warnings that if navies were put in niche roles it would undermine all the advantages of maritime strategy. As Lewin expected, the attempt to recover British strategic doctrine was consigned to the responsibility of historians and out of the intellectual grasp of naval personnel. This demonstrated further abandonment of Corbett who could have used operational combat to educate decision makers rather than worry with trying to explain complex strategy that others, such as Mahan, offered. Corbett saw little reason for decision makers to know this level of detail, as the mission of sea and naval power remained the same even if some of the specifics changed. The minds in the highest offices only needed to know the navy formulated the strategy and could get the job done. This is a tactic as relevant then as it is today. As simple as it might sound to use Corbett’s intellectual tactics, the modern British historian, unlike Corbett, does not have the social and political levers that the British Admiralty had built over centuries. Their troubles include the relative loss of the combined intellectual spirit of the minds of the military and civilian personnel working together to combat the overwhelming continental vision such as had gripped British defence since Lord Mountbatten's vanity and disjointed thinking resulted in a hastily created British unified defence. Similar examples might be found in attitudes towards maritime strategy as conflicts that have defined American defence over the past few decades have narrowed the flexibility and vision of American military planners’ minds. Behind any debate on the contemporary relevance of Corbett is an underlying current for strategically minded thinkers to consider. Firstly, the development of skill is about contributing to the development of ideas, but also being able to locate patterns, ideas, and suggestions rooted in original thought and the study of history. Second is knowing what can be cast aside and what we can ill afford to disregard. The success of Corbett was the close relationship between operationalising history, the team work of historian-military minds and the feedback of experience. Corbett feared that learning, relearning, and repeating was not just far from ideal; it was, in fact, far worse than having no pattern at all when it comes to strategic thinking. This warning coupled with the inherent danger of centralising and institutionalising thinking runs the distinct risk of deadlocking the development of strategic and military theory while at the same time ideas becoming stagnant. Avoiding such isolation is a challenge today as it ever has been before if we are to deliver the ongoing development of military thinking. Foremost in our minds should be that we often face the same challenges as Corbett did. James W.E. Smith is a PhD researcher in the Department of War Studies, Kings College London under the supervision of the Laughton Chair for Naval History, Professor Andrew Lambert. He is also currently a research fellow at the U.S. Naval War College. Lambert, Andrew. "The Naval War Course, Some Principles of Maritime Strategy and the Origins of ‘The British Way in Warfare’." In The British Way in Warfare: Power and the International System, 1856-1956: Essays in Honour of David French, by Keith Neilson and Greg Kennedy, 219. Farnham: Ashgate, 2010. Armstrong, B. (2018). "Sea Power Matters: A Personal Theory of Power Bringing Balance to the Force." [online] The Strategy Bridge. Available at: https://thestrategybridge.org/the-bridge/2014/5/28/sea-power-matters-a-personal-theory-of-power-bringing-balance-to-the-force [Accessed 11 Jun. 2018]. Lambert, A. (2017). 21st Century Corbett. U.S. Naval Institute Press, Introduction. See Roskill’s ‘War at Sea’ covering naval operations of the Second World War and Marder’s was writing ‘Dreadnought to Scapa Flow’ cover the First World War and Gough, B. (2010). Historical Dreadnoughts. London: Seaforth. Marder, A. (1961). From the Dreadnought to Scapa Flow: Volume 1; The Road to War, 1904–1914. Oxford: Seaforth Publishing.